Superman, Batman, Wonder Woman, and their friends illustrate how super heroes--and regular people--get from place to place! 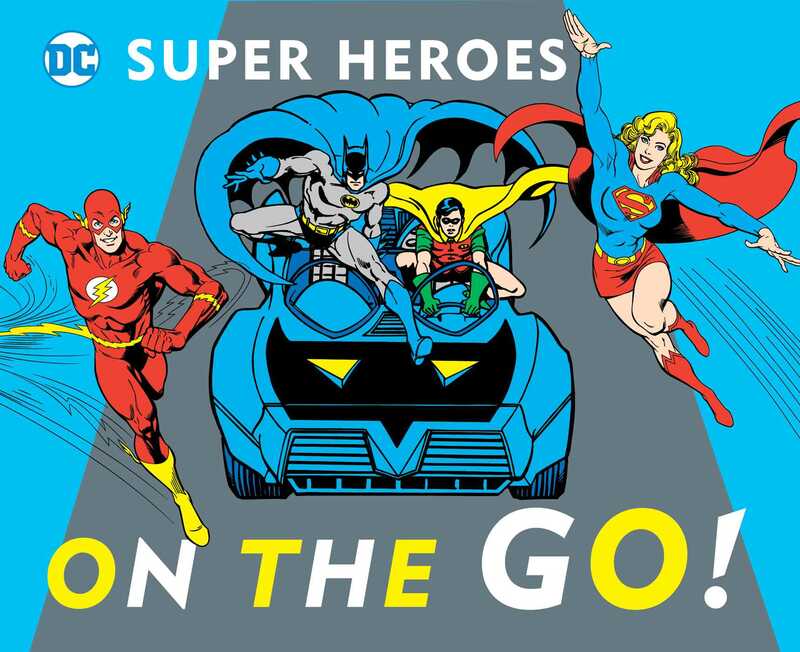 This latest addition to Downtown Bookworks' bestselling DC Super Heroes concept board book series uses DC's classic art and beloved characters to illustrate modes of transportation. Whether they're flying on their own, or in an Invisible Jet, running faster than the speed of sound, or zipping around in a Batmobile, super heroes make getting around both fast and fun! Book Cover Image (jpg): On the Go!